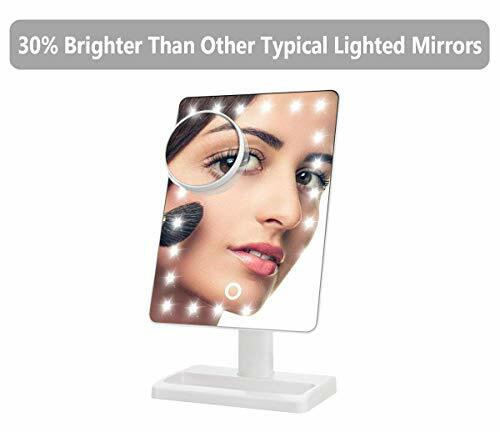 LED Illuminated Mirror 30% Brighter Than Others – The only lighted makeup mirror featuring 24 LEDs produces 30% brighter lights than 2nd Gen. 5,000-6,000 Kelvin white light closely simulates natural sunlight, providing color-correct lighting for your makeup. 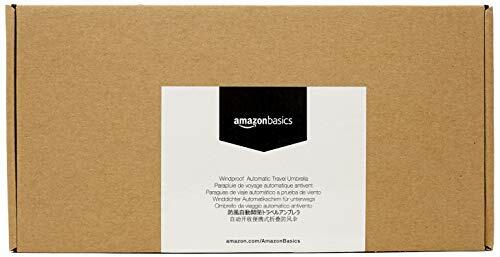 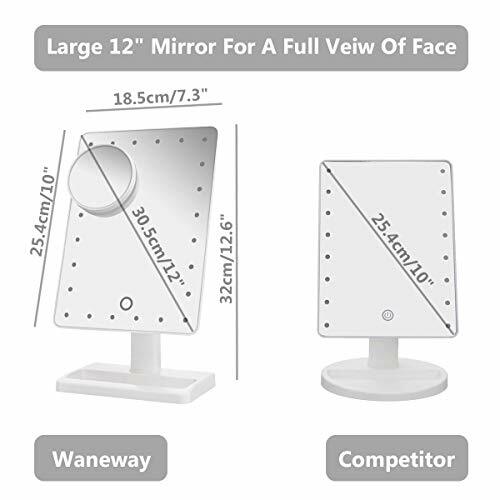 Perfect Size for Dressing Desk – With a clear and large 12″ screen, the 3rd Gen light up mirror is 20% larger than competing make up mirrors equipped with a 10″ screen, allowing you to get your entire face in view at once. 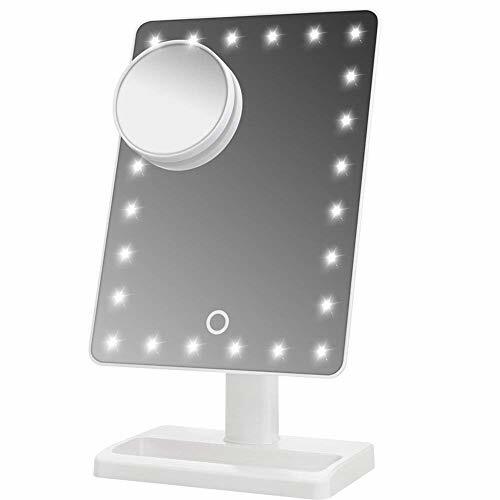 Makeup Mirror with Lights of Low Consumption – Thanks to the low consumption LED chips, 3rd Gen countertop mirror can last up to 2-3 weeks for daily use operated with 4 brand new AA batteries, up to 10% more energy efficient (batteries NOT included). 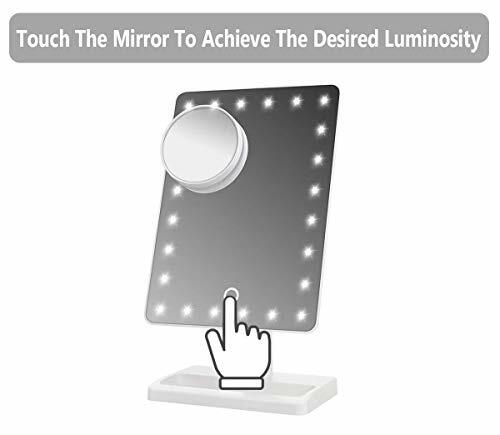 Vanity Mirror with Light and Smart Touch Control – A smart touch dimmer switch with memory function is located on this tabletop mirror to turn lights on/off and adjust brightness whenever you want, and the lights will always remain on your desired brightness when it is switched on. 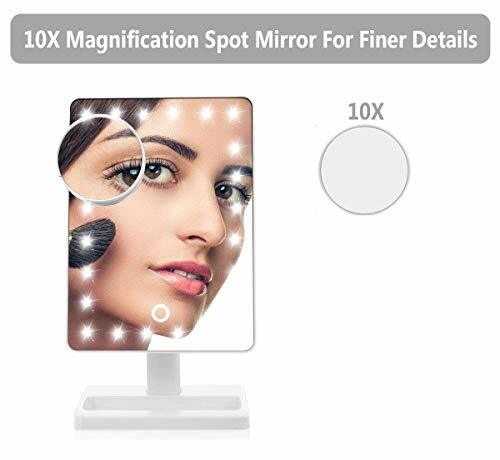 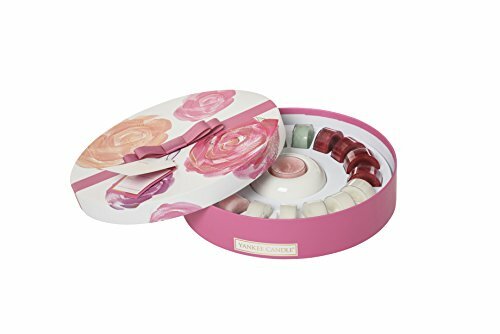 Lighted Vanity Mirror with Detachable 10X Magnifying Mirror – A useful 3.5″ 10x magnified detail mirror with suction cups can help you see the details of eyeliner, mascara, eyebrows, and the grooming of unwanted hairs; it will help ensure you’re always ready for your close-up.